If you live in the Markham, Ontario, area and are in need of family legal services, Rachel Radley’s team of knowledgeable and experienced Markham family lawyers is here to address your needs. Our significant experience in cases dealing with divorce, child support, child custody and access, child protection, and other family related legal matters place us a cut above the competition. During this difficult time in your life, trust a Markham divorce and child custody lawyer to deliver caring and compassionate care to help you move on. We believe in protecting you and your loved ones through the multitude of legal challenges that emerge at every stage of your life. When dealing with issues of family law, it is in your best interest to act expediently. Family disputes can have long-lasting and devastating impacts on those involved, which is why you should aspire to resolve them as efficiently as possible while still protecting your interests. That’s why the team at Radley Family Law offers free, no obligation legal consultation to individuals interested in retaining our services. Individuals who are considering separation or divorce, or who need legal assistance in navigating the child custody and support, spousal support, or division of property processes may feel overwhelmed by the enormity of the situation. This is not surprising: considering the life-changing nature of your dispute, legal minutiae are probably the furthest thing from your mind. The goal of each Markham family lawyer at Radley Family Law is to take the lead on legal issues and enable you to focus on your well being. When you are going through a divorce or any other familial legal proceeding, you need a strong representative in your corner that will firmly stand for your rights. Radley Family Law has the experience and credentials necessary to take on the most complex and challenging family law cases and deliver meaningful results for its clients. Rachel Radley’s Markham family lawyers can help you get through almost any family dispute. Whether you are fighting for child custody and access, appropriate spousal and child support, equitable division of property, or simply want to process an uncontested divorce as efficiently as possible, our team can help. 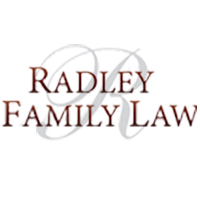 At Radley Family Law, our goal is to offer compassionate service that take into account the substantial emotional toll a family dispute can have. Over the course of our many years of service, Radley’s family lawyers have come to understand just how difficult a divorce or custody battle can be. We want to help you emerge from your dispute with your rights intact and a new outlook on life. Contact us today to learn how we can help. Radley Family Law is happy to offer free consultations to all prospective clients. Call us today at 905-669-2109 or reach us through the online form below to set up an appointment. Working out of our head offices in Vaughan, Ontario, each Markham family lawyer on Rachel Radley’s team offers services to individuals across Ontario.